Educators, please comment on the proposed initiatives listed below. These are currently under review by the AIGA Board. 1. A Peer-reviewed AIGA Design Education journal. This journal would publish papers produced at design educator conferences in addition to other juried submissions. Such a scholarly journal will build educator recognition of the AIGA, increase educator membership, and will provide a valuable resource to educators as well as practitioners. 2. Design Projects Repository Initiative. This initiative is an on-line resource for design educators to share assignments and project documentation including learning goals, schedule/deliverables, outcomes (a gallery of final work) and reflections. 3. Design Education Community Promotional Materials. These materials would be distrib-uted at conferences and other events, in addition to a yearly mailing, to raise awareness of the DEC among design educators. 4. Funding for Conference Video Archives to support video documentation of AIGA Design Educator conferences. 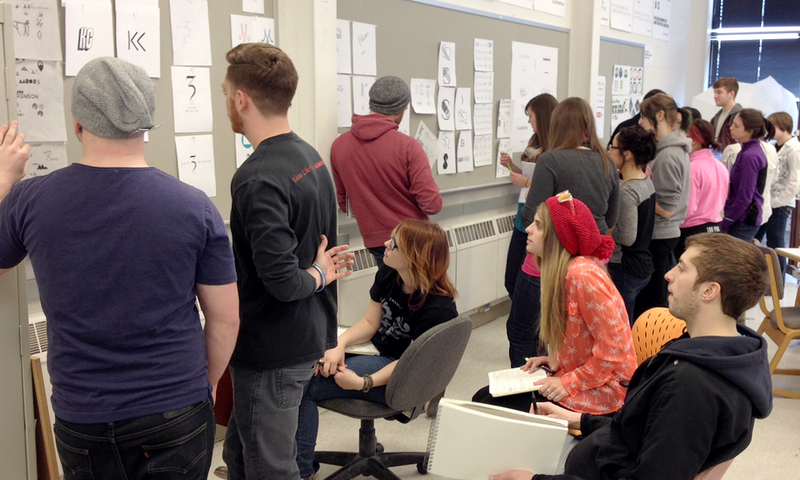 For young graphic design students, the years spent in a classroom differ from their early years in a design studio—and that’s a good thing. Graphic Design educators craft student experiences that encourage both experimentation and reflection—both inside and outside the constraints of commerce. The purpose of a design classroom is not to mimic the work environment—an old-fashioned apprenticeship would better serve this purpose. Instead educators use this space to teach design skills and methods to students while simultaneously empowering these students to critically engage with larger cultural issues—sustainability, ethics, social justice, etc. Set apart from the pressing deadlines and budget constraints of a typical design job, students and educators contribute to a greater body of theoretical knowledge and vision. This new knowledge then feeds back into commercial practice, slowly redefining the profession as each new group of graduates goes out into the world. With this understanding of design education in mind, we have outlined our 2014 AIGA Design Educator proposals for initiative support and general funding from AIGA. This proposal provides various opportunities to reach and support the endeavors of design educators. AIGA lies at the intersection of the professional and educational contingents of the design community. We are eager to collaborate with AIGA to define how these groups (which already have many members in common) may inform and assist each other.